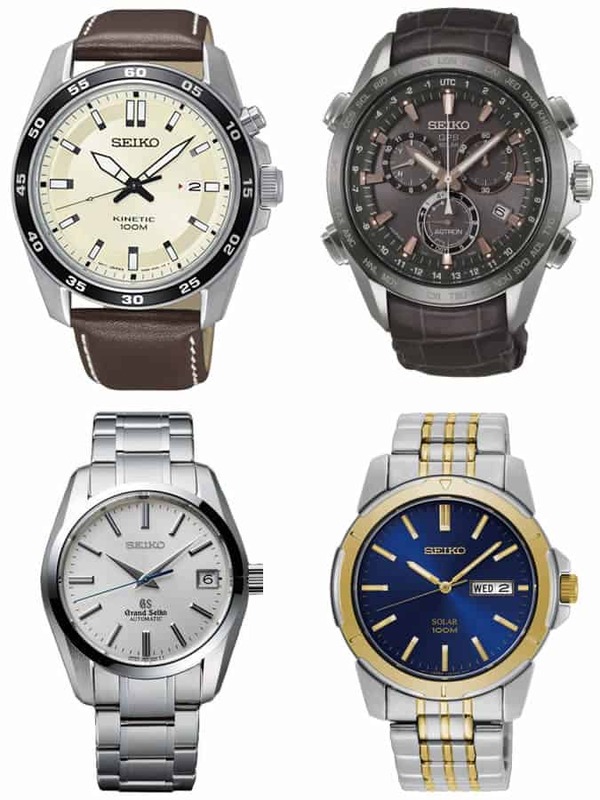 At face value, the world of watches is dominated by a handful of companies. The banner brands are household names; Rolex is nestled alongside Lexus and Hyundai in Forbes’ list of the world’s most popular, and even people who tell the time on their phone know James Bond wears Omega. But with recognition comes spiralling price tags. Yes, Swiss luxury brands are built on exemplary engineering, but you’re also paying through the nose to have a logo embossed on the dial. Looking further afield means you can find timepieces with less of a markup, and are less likely to feature on your friends’ wrists. It’s time to get in the know. This Japanese watch brand is largely responsible for Swiss watchmaking’s late-century decline, after its quartz watches flooded (and nearly drowned) a market still focused on mechanicals. The brand remains tech-focused; it was responsible for the world’s first solar-powered GPS timepiece as well as a dual-time watch that’s kept accurate in twin time zones by overhead satellites. Traditionalists should look to its sibling Grand Seiko. It builds second-to-none automatic watches from in-house movements and, since it’s only been available outside Japan since 2011, is ideal for those who steer against the crowd. Detroit’s tragic decline from industrial powerhouse to ghost city in the last three decades has been harrowing for its residents. But from the ashes comes a glint of manufacturing light. Shinola first gained fame for its watches, which are made by workers who lost their jobs when the automotive industry died, but has since branched out into bikes and leather goods. Think traditional pieces with a strong ‘Made in the USA’ focus (albeit with Swiss guts) and this is what you get. Picture Scandinavian design and the mind steers towards minimalism and affordability. Stockholm’s Triwa bucks the former with an enormous array of watches that run the gamut from white-faced two-handers to blingy gold-plated chronographs. It does, however, heed to the latter with steel bracelet designs falling around £150. We’re particularly fond of the brand’s eye-catching leather straps, which let you switch up your look affordably, and will age with wear to give your wrist some personality. You may lust for that Rolex or Patek, but you don’t need to drop huge sums to make a horological statement. By thinking outside the big brands you can get more for your money, with hipster bragging points thrown in. Take Boom; the Swedish brand produces modular watches that consist of four customisable parts that can be mixed and matched in up to 3,700 different variations. With individual cases, top rings, faces and straps available online, it’s the easiest way to build a watch wardrobe in a hurry. Skagen takes its name from Denmark’s northernmost town, which juts into the North Sea at the tip of a narrow peninsula. The brand’s designs are obviously Scandinavian – think clean faces and brushed metals – but also slightly fashion-led. Each year you’ll find all the big Baselworld trends in the label’s collection, from titanium cases and mesh straps to blue faces and black, sunburst dials. 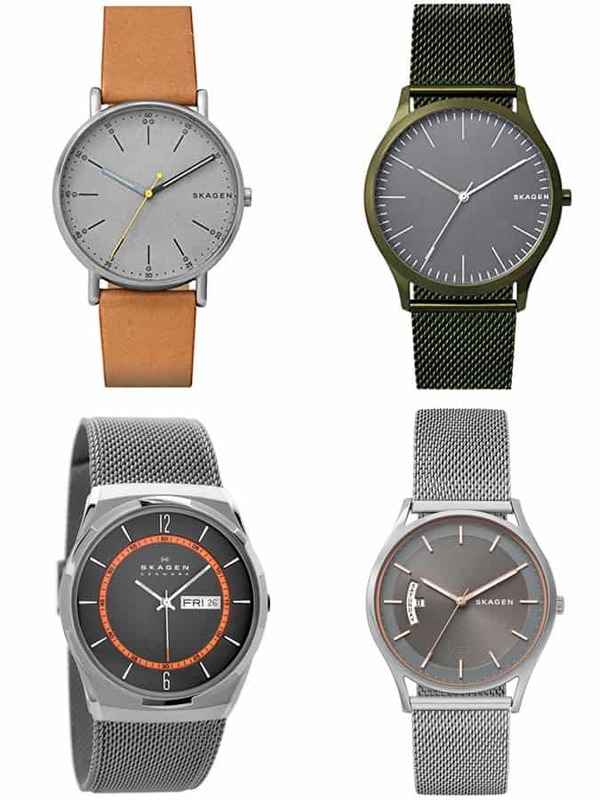 With prices mostly in the mid-£100s, Skagen offers a pocket-friendly way to dip into on-point styles. Despite a storied history that stretches back over 150 years and includes work with Bauhaus legend Max Bill, Germany’s biggest watchmaker often gets little look-in on these shores. Well more fool us, as it produces minimalist automatics at competitive prices – making them ideal for the guy looking to buy his first ‘proper’ watch. And due to aesthetics that have barely changed in the last 50 years, you can be sure any investment will still look as sharp when you decide to enlarge your collection. The brainchild of 22-year-old college dropouts Jake Kassan and Kramer LaPlante, MVMT (pronounced ‘movement’) started life on crowdfunding platform Indiegogo in 2013. 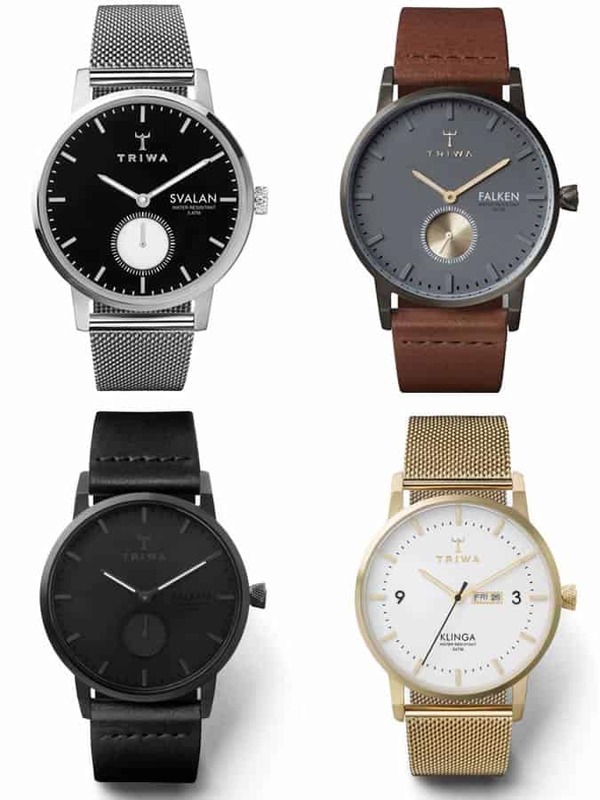 Thanks to sleek, fuss-free timepieces made as affordable as possible, the brand smashed its target by almost 1,500 per cent and quickly established itself as one of the world’s fastest-growing names in horology. Today that takes the form of watches built from the same high-end materials as the mid-hundreds brands, but for the price of a night out. Best known for its jewellery, Danish firm Georg Jensen also makes handsome watches powered by Swiss automatic movements. Its timepieces are as unadorned as you can get; delicate hands set against white dials, broken up in some designs with a tiny date window or power reserve. The brand’s watches are best paired with a roll neck, thick-rimmed glasses and the corner office at a leading architecture firm. Youthful Belgian brand Komono produces good-looking sunglasses as well as watches, with its product range linked by a focus on classic designs crafted from quality materials (without the accompanying price tags). The brand’s wristwear is known for its eye-catching colours, from all-scarlet cases and dials through to subtler white faces on statement straps. Buying into a Komono design is the easy way to add a pop of interest to an outfit, at prices that definitely won’t break the bank. Customisable watches are nothing new – after all, switching up your strap is the easiest way to keep a timepiece fresh, but Objest takes that idea to a whole new level. Designed in London in conjunction with world-class Swiss watchmakers, customers can tailor nearly every visible feature including the dial, hour, minute and seconds hands, rotor, hardware, date window and straps, giving over a million possible designs. Add to that subtle details like a hatch pattern dial that doubles up as a marker for the hours and you’ve got the design lover’s watch of choice.